The Dirty River Boys – DFV WineRocks! Our final First Fridays weekend is a ticketed event – a very rare happening at DFV! But our lineup is so good, you won’t mind paying the $10 ticket price in advance (+small fee) or $15 at the door for three full days of music! You’ll exchange your ticket for a wristband at the winery, and it will be good for entry Friday, Saturday and Sunday! 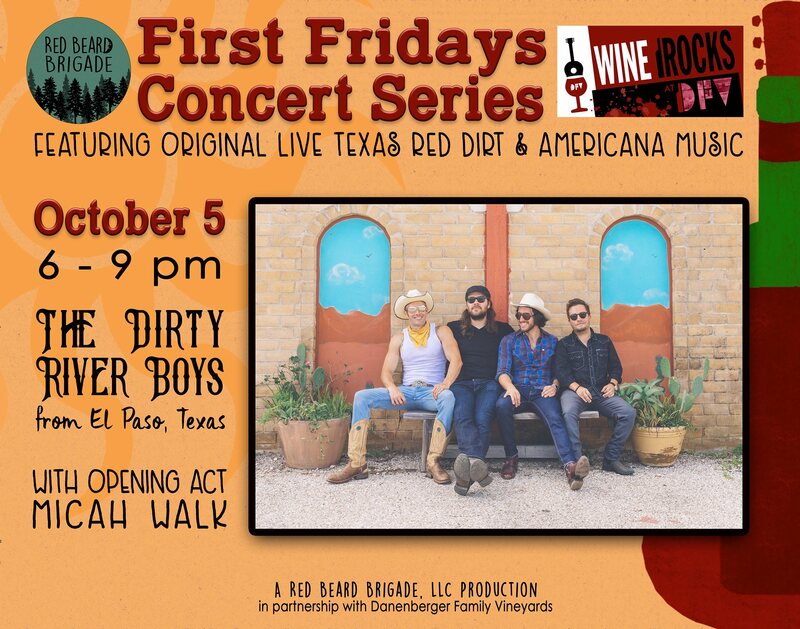 The Dirty River Boys will be kicking off the First Fridays Concert Series weekend festival on Friday, October 5. Micah Walk Music will be getting the night started. You don’t want to miss this show! A Red Beard Brigade production!